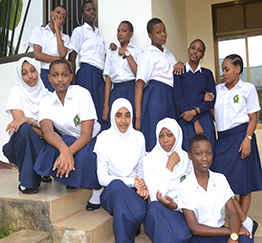 St. Christina Girls' Secondary School is a Girls' Boarding school situated in Tanga Municipality 5 kilometers from Tanga town along the Dar-es-salaam road. Initially the premises belonged to the now defunct Tanga Dairy Institute. It has acreage of 27 acres covered by all green good landscape of grass, coconut, mango trees and other vegetations. 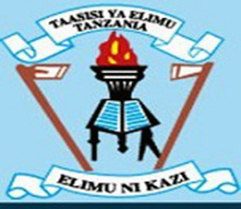 Neighbours include TPDF- Army barracks as Tanzania Peoples' Defence Force, the Livestock Research Institute, Tanga Fresh milk industry and Tanga Airport. .
Our Vission is "to embrace a holistic approach in the provision of education to learners". 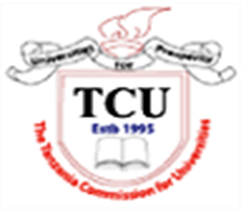 Striving to provide appropriate education to the learners with a view of preparing them academically, socially, spiritually and physically so as to make them responsible women beneficial to the society.. The physical facilities of land, buildings, furniture and other assets are being built on self-help basis. The buildings that were initially hired from the aforesaid defunct institute have been renovated to suit the current status of the school. E.g. three floors have been added to the former classroom building to make a total of standard size classrooms, a computer lab and a digital library. In addition to the vast rehabilitation tasks, the NGO has also managed to erect new dormitories with a capacity of more than 700 students. The rooms are spacious and well ventilated with fire detectors in every room..
Modern science laboratories have been constructed for physics, chemistry and biology. The laboratories are equipped with up to date equipment and apparatus to equip the student with the necessary knowledge with less fatigue.. The school has a standby generator that is adequate to supply power to the entire school hence power cuts does not affect the life of students at St.Christina Girls Secondary School. Security is our great emphasis. The school is under 24 hours surveillance by CCTV cameras. The school is among few schools in the country which champion provision of quality education to learners hence ensures the teaching of Computer studies is taken on board. Students now have access to Internet services for broader leaning. They are able to consult encyclopedia on line through the Encarta programme. The Management is working around the clock to make-work easier for teachers by enabling them to use overhead projects and transparencies in the teaching / learning process. This will also be a contribution towards the health care of both teachers and learners because they will no longer be subjected to inhaling the dust from chalk. The school has been specially designed by top architects and built to the highest construction standards. The spacious eighteen-acre campus is situated immediately adjacent to the Dar Es Salaam-Bagamoyo road. 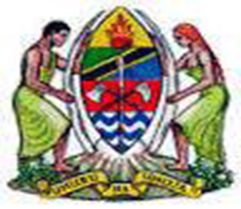 It is approximately 40 kilometres from Dar and 30 kilometres from Bagamoyo. The school attends to students' health with keen. There is a dispensary where a trained staff nurse attends students at the level of First Aid. Incase of serious health problems students are taken and treated in a classic hospital where services are of a satisfactory standard. The school provides students with a balanced diet and safe drinking water. As a measure to prevent contracting diseases spread by harmful insects such as mosquitoes, fumigation of the school buildings and the environment in general is administered during long vacations. Students are also urged to use mosquito nets at night. The school acknowledges the truth in the sayings:. "Tom without play makes him a dull boy". "A healthy mind stays in a healthy body". Students of this school play Netball, Volleyball, Badminton and table tennis. They are also encouraged to participate in jogging exercises for the purpose of promoting good health. St. Christina Girls' Secondary school glorifies and respects freedom of worship. All students are allowed to worship according to their religion / denomination without stigma or discrimination of any kind. Teachers frequently hold face to face sessions with the girls focused on life skills. A lot of emphasis is directed to issues pertaining to HIV / AIDS pandemic, Family life Education, Girl child Education for Empowerment. 'One learned lady is a big asset to the offspring in each family in future. Educating a lady is to educate the whole family'. Holistic approach in the provision of education to the learners accommodates that.. The school has embarked on an aggressive and ambitious modern landscape development surrounding the school by planting fast growing trees, flowers, good grass and safe drainage network. The school has established an orchard as a multipurpose action. One is to conserve the bare land and the other is to enrich the supply of fruits for good health. This will teach the students on land conservation and environmental care as contribution towards one of the prevailing cross cutting issues not only in the nation but also globally.